Appeasement is a Weakness Leading to Collaboration! Western civilization might very well be on a new threshold as world leaders have met in Lausanne, Switzerland regarding Iran’s nuclear deal. The deadline arrived and yet, the talks yielded very little. The apparent progress made in the last few days in Europe warranted that the dialogue would continue. One of the big issues that Iran has is with sanctions imposed on them. Their economy has suffered greatly in the last few years, and they demand that sanctions be lifted in a way that would also prevent them from being reinstated automatically. Iran wants to have their diplomatic cake AND eat it too! Many international voices have been heard on the topic of a nuclear Iran, and few if any are looking forward to that prospect. It is obvious that Iran is politically and ideologically very unstable. That fact was clearly delineated in a speech to Congress on March 3rd when Netanyahu risked his whole career, two weeks prior to the Israeli elections. His plea wasn’t for the safety of Israel but for the survival of Western civilization. Against all odds, a predicted Likud loss turned into a miraculous landslide victory. The White House felt that this was the last straw that justified what could one day be remembered as “The Great Diplomatic Divorce” of the 21st Century. Never before had an American president showed so much contempt for Israel and its current Prime minister. 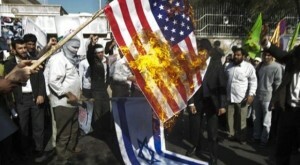 Our President has great hatred for Israel and its leaders while he is working overtime to appease Iran. Both feats validate his destructive ambitions by weakening our best allies in the Middle East and strengthening what the West could rightfully call the Great Satan, also known as the Islamic Republic of Iran. 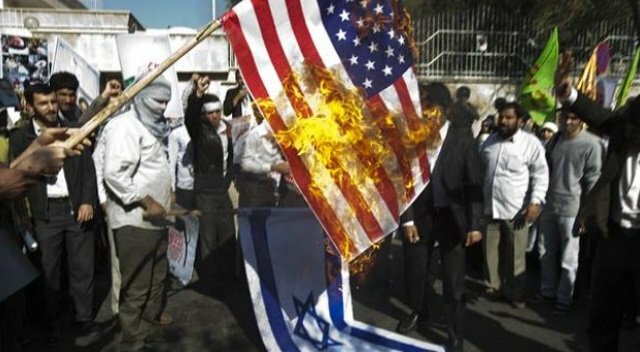 Mr. Obama is obsessed with the idea of striking up a deal with Iran as much as he is obsessed with the demonization of Israel. It would be understandable–albeit doubtful–if Iran would lie to America and the West about their intentions; but they don’t even do that! How in the world do you even try to negotiate with a country that openly calls for the death of America? This is a perfect example of appeasement. Mr. Obama is trying to convince the world that Iran not only can be included to the negotiating table, but that they can also be trusted. The Lausanne Iran Summit didn’t yield the results hoped by world leaders. 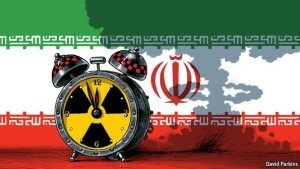 Iran made some promises in regards to slowing down enriching until they come to an agreement. But why would anybody trust Iran’s pathological lying? They simply continue to provide lip service to a world that has its head buried so deep in the sand that nothing matters. All seems to indicate that sanctions will be lifted almost unconditionally. Additionally, Mr. Obama threatens to veto any move by the US Congress that would lead to new sanctions against Iran. This is pretty much the bulk of his foreign policy. He has worked very hard at trying to appease and even accommodate Iran’s nuclear race. So much so that it could be argued that Mr. Obama is no longer simply appeasing Iran but he is now collaborating with Iran. It is still a mystery to me why the US Senate was handed a report saying that Hezbollah and Iran are no longer considered part of the terrorist list. Seriously? Political analysts and pundits alike might speculate on Obama’s reasons for forcing a relationship with the Islamic Republic of Iran, but the results is what matters! At this point it has become irrelevant if Mr. Obama wants Iran to arm themselves with nuclear capabilities or if he believes that they [Iran] just want to modernize their country’s energy, the results will be the same. If Iran is allowed to continue their nuclear program unbridled as it is, the Middle East will be forced into a frenzied arms race that will tip the global scale forever. 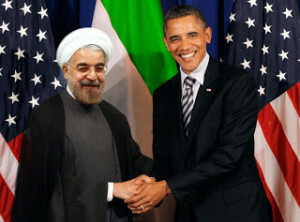 Instead of confronting Iran, Mr. Obama facilitates their agenda. While there are mistakes that world leaders make and even regret as they look back on their political career, ignoring Iran’s call to kill Israel and America could help us reach a point of no return. This wouldn’t be a mistake but a catastrophe! All the while, the White House’s energy is spent denigrating Benjamin Netanyahu before and during his electoral campaign. Israel’s nuclear secrets are being divulged by the current US administration. Do they not understand that they are shooting themselves in the foot by exposing Israel’s nuclear intel? His disdain for Netanyahu and Israel coupled with his collaborating with Iran is doubly dangerous and could prove lethal to many. Help us protect ourselves from the people who want to kill you! Recently, the Saudis have made two very peculiar moves to protect their country from an ISIS invasion and/or Iran. It is interesting to note that we now have an apparently sharia compliant country trying to defend itself from a sharia enforcing state. Is there more than one way to abide by sharia law? It is also worth noting that the brand of Islam known as Wahhabism or Salafism, that is the driving force behind the Islamic State was born within the borders of Saudi Arabia. 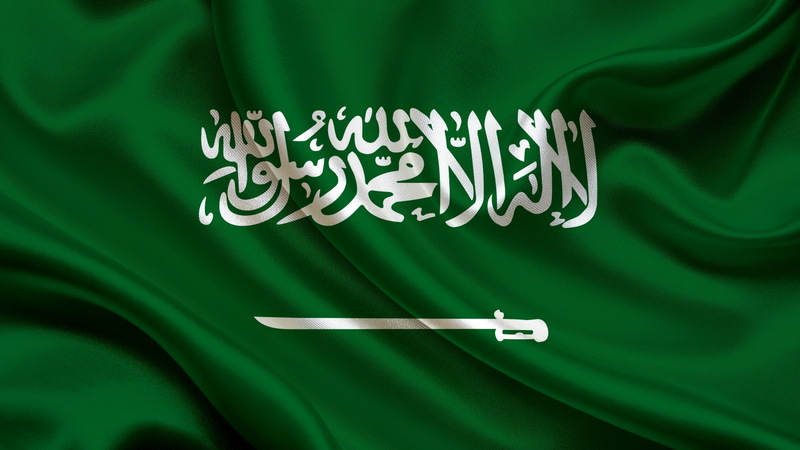 Even though it is clear that Saudi Arabia has progressively distanced itself from the extremist brand of Wahhabism adopted by ISIS, the connection cannot be ignored. It would appear as if the pupil has surpassed the master. First, it was recently officially announced by the Saudis that they had decided to build a 600 mile wall/fence on their northern border with Iraq to protect themselves from a possible ISIS invasion. Seeing how Iraqi forces have poorly responded to ISIS, the Saudis are getting concerned. But this isn’t a reaction based on the growing threat from the Islamic State since apparently the idea first came up almost a decade ago. Then there is the most recent offer they made to Israel in regards to opening their air space for the IDF to use if they choose to strike Iran. Of course it wasn’t announced in those words and was only discussed behind closed doors with some European leaders. 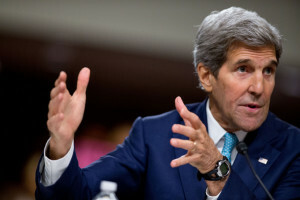 According to The Wall Street Journal : US and Arab diplomats say that, although Arab nations have avoided matching statements made by Israel, they share many of the same fears regarding a nuclear deal with Iran. While I can appreciate Saudi Arabia’s desire to protect their borders, I find both those moves to be quite hypocritical. The 600 miles wall/fence isn’t necessarily a bad idea. I believe that any sovereign state is absolutely entitled to its own safety. This is a sad reflection on the times we live in, when countries have to isolate themselves for their own safety, but like someone once said: “It is what it is!” As Saudi Arabia is building their fence, why isn’t there any outrage about their isolationist attitude? Should we accuse them of Islamophobia, or better yet “ISISophobia”? Are they becoming an apartheid state? Of course, you see where I am going with this as nobody is finding the Saudi fence to be out of line, yet the Israeli fence is Islamophobic and driven by colonialism and an apartheid mentality. Give me a break, the Saudi fence AND the Israeli fence have the exact same purpose and that is sovereign protection of their citizens. Why the double standard? Now let us consider the opening of the airspace over Saudi Arabia for the IDF to fly over he they decide to strike Iran. As the United States continue to flex under the Iranian arrogance, the whole world is wondering how soon Iran will be ready to go nuclear. It certainly appears to be a matter of when and not if. Iran just performed a military exercise days ago and destroyed a life-size replica of a US ship to show the world how capable and certainly willing they are to destroy the West. They now have missiles capable of reaching Europe and the United States. What are we waiting for? Saudi Arabia doesn’t share a border with Iran but finds itself on the other side of the Persian Gulf and definitely vulnerable. They understand that the one country that can and might do something is Israel, so they are willing to open up their air space in case of a strike. They obviously have much to gain with that move. But wait, there is a catch! The Saudis expect Israel to promise progress in the Israeli/Palestinian “Peace talks” if they want air space access. Nothing has been specified regarding what kind of progress, but good will towards reconciliation must be shown. Excuse me! Saudi Arabia wants Israel to get along with Hamas who pretty much lines up with much of ISIS’ ideology and wants nothing but the death of all Jews (first) and the West (next). Last September, at the United Nations, Netanyahu rightfully said: “ISIS and Hamas are branches from the same poisonous tree.” Reconciliation requires both sides to be willing to reconcile. One-sided reconciliation is abdication, and in Israel’s case, abdication to Hamas would mean instant suicide. It might still come to the time when Israel flies over Saudi skies to strike Iran, and it could be a positive move for the whole region. This being said, it is time for the world to recognize that Israel isn’t the enemy but the only hope in the Middle East. Deep down, Saudi Arabia probably knows it, otherwise they wouldn’t open their air space to them, but they are not willing to make such a statement in the open.